The unused square footage in your attic can be renovated to increase the livable space in your home. However, if the project isn’t done correctly, you can have a major problem on your hands. 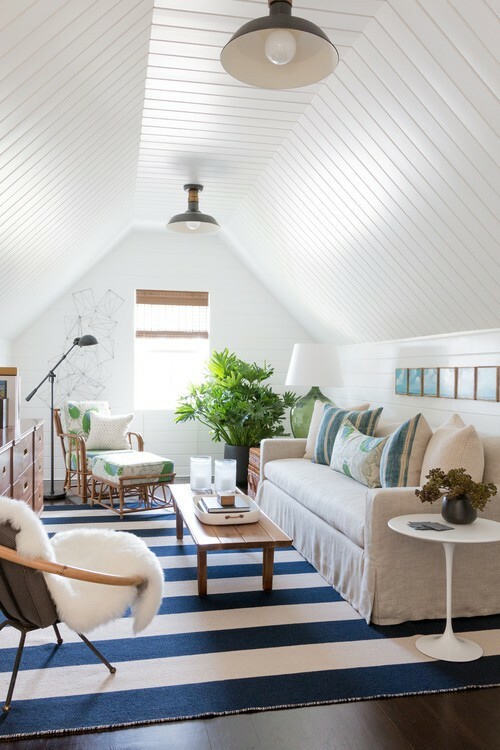 “People often assume that finishing an attic is as simple as throwing up some insulation, drywall, and flooring, but they don’t think about structural support, heating and air, or where they’ll enter—all factors that could make or break the renovation,” says Chelsea Allard, vice president of design at Case Design and Remodeling in Charlotte, NC. When taking on your own attic renovation, be aware of these problem areas and avoid these major mistakes at all costs. Once you decide what you want to do with your attic, you’ll need to get permission to proceed, and you’ll have to follow certain regulations. “The No. 1 mistake we run into with attics is building code violations,” says Bill Shafer, manager at Shafer Construction in Bethlehem, PA. Outlaw says that homeowners who don’t get permits before they start a project can end up having to tear out parts of the work because they don’t have proof of an inspection. Home sellers can also run into problems during closing if they don’t have the proper permitting. It may be tempting to just plunge into your attic renovation without thinking it through, but the experts advise against this approach. “You need to plan what the space will be used for before getting started,” says Nathan Outlaw, president at Onvico, a general contracting and design-build company in Thomasville, GA. He says you need to write down the room’s measurements and then sketch your layout. When you convert the attic, you’re often eliminating the ventilation, which can lead to a variety of problems. “Ventilation in an attic allows moisture that is generated inside the home to be exhausted to the outside,” says Todd E. Miller, president of Isaiah Industries, a roofing company in Piqua, OH. If the moisture is allowed to reach the cool underside of the roof, it condenses, which can lead to mold. And if you live in a snowy climate, he says attic ventilation also helps prevent ice dams on the roof. To minimize excessive moisture in the renovated attic, Miller says that all of your plumbing, kitchen, and laundry vents should exhaust to the outside. Make sure the HVAC and insulation in your attic is up to date and properly placed. “An improperly conditioned attic space will be unbearable on hot and cold days,” says Outlaw. But figuring out how to heat and cool your attic can be tricky. “Existing HVAC units may not be sized adequately to take on the additional square footage of the attic,” Allard says. Your HVAC unit may be able to heat and cool your attic, but there’s a chance you’ll have to buy a mini-split system. Photo by Rehkamp Larson Architects, Inc. If you already have stairs up to your attic, we have some bad news: They may not be usable. Why? They may not be up to code. “Code will dictate how many steps there are, how tall and wide they can be, railing details, etc.,” says Allard. Many homeowners are surprised when they realize how much of the precious square footage stairs actually take up. Once you add stairs, you already have an escape plan in the event of a fire or natural disaster, right? Wrong. Suppose you can’t get to the stairs or you can’t fit through the window. According to Shafer, the windows in your attic should not only be large enough for you to fit through, they should also be large enough to accommodate a fireman with an oxygen tank. You may have decided on a place for the attic’s new bathroom, but it should really go in the most practical location. “One of the big mistakes people make is not positioning a new attic bathroom above an existing bathroom or kitchen,” says Matt Keogh, director of Nexus Homes Group. Stacking a new bathroom over an existing one or the kitchen allows you to take advantage of existing plumbing, minimizing wall damage and saving money, he says. Hanging out in a dark attic is … pretty creepy. That’s why you need to consider lighting before the renovation begins. 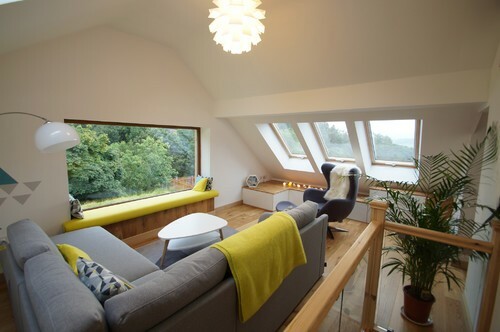 Place windows in areas that pick up natural sunlight, and be strategic about where you place the main light sources. Then you can place additional floor and table lamps in darker corners. The post 8 Attic Renovation Mistakes That Cause Setbacks—or Spell Disaster appeared first on Real Estate News & Insights | realtor.com®.